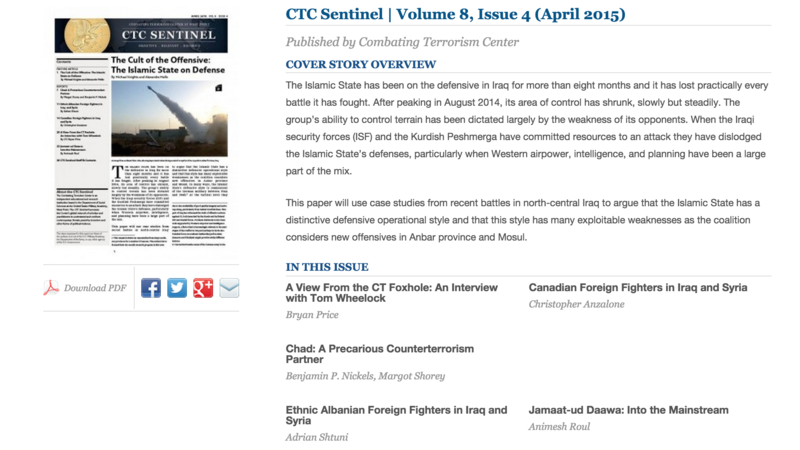 ANIMESH ROUL, "Jamaat-Ud Daawa: Into the Mainstream": CTC SENTINEL, Volume 8 (4) April 2015. Published by Combating Terrorism Center, West Point, NY.https://www.ctc.usma.edu/posts/april-2015Published by Combating Terrorism Center, West Point, NY. Pakistan’s Jamaat-ud Dawa (JuD) is often compared with Lebanon’s Hezbollah thanks to its efforts at blending charitable works and Islamic proselytization with overt political activism. The JuD is consciously attempting to improve its image, taking advantage of Pakistan’s religiously charged socio-political environment. It appears that it is being aided by government policy, notwithstanding international sanctions imposed on the group. The JuD’s influence has now extended to even the most remote corner of the country through its exploitation of the media, the expansion of its social services that range from health care to education, and its ability to assist affected populations during natural calamities outside its epicenter of power in the province of Punjab.